Mt. 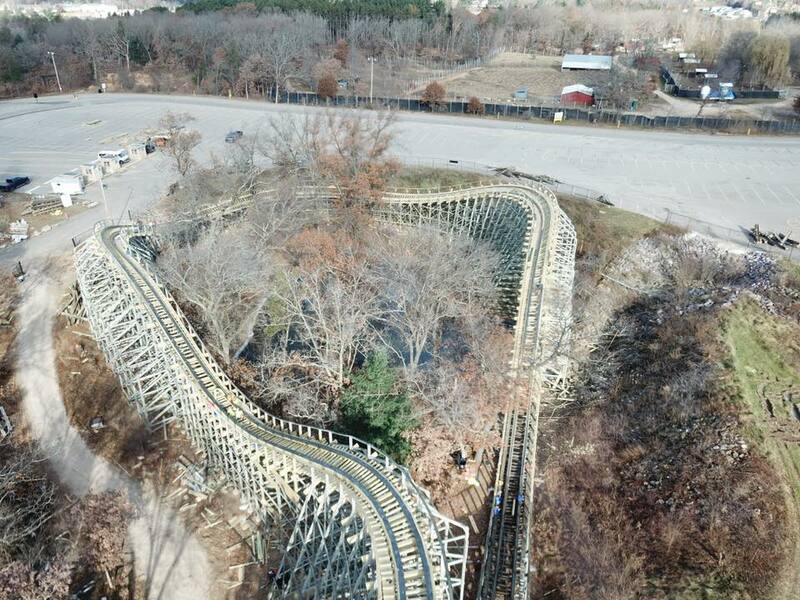 Olympus' "Zeus" ride is about to get a whole lot smoother. 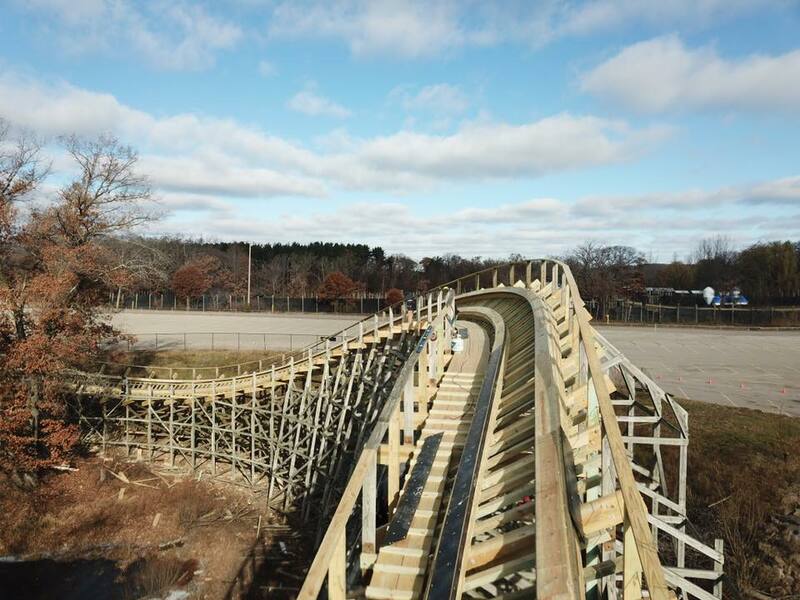 The new re-tracking with much wider steel track should help the notoriously rough wooden coaster. The project is being done by "Amuse," a company that specializes in ride installations, wooden coaster repairs, ski lift installations, ride relocations and more. 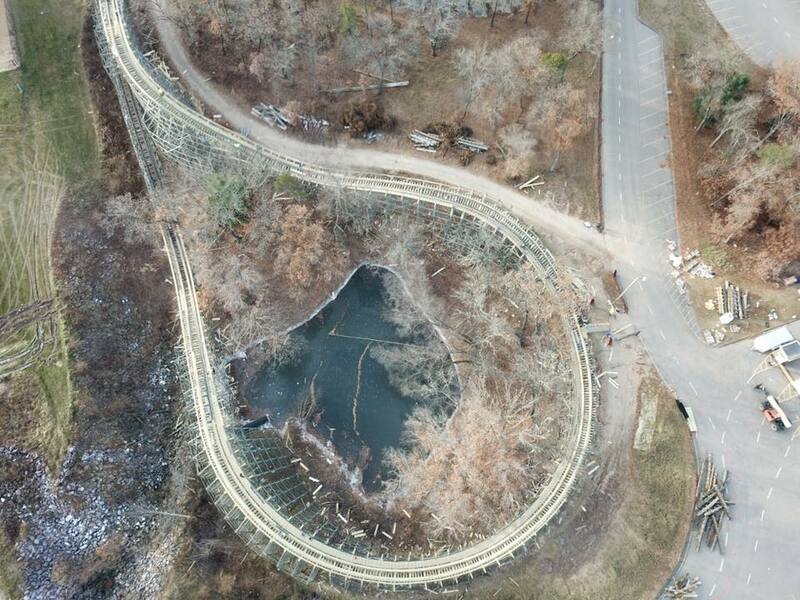 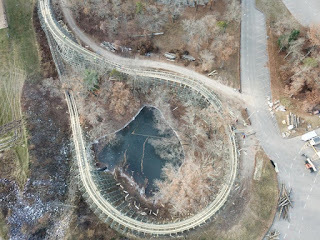 An overhead view of one of the rougher sections of the coaster, which is expected to now be one of the smoothest sections. 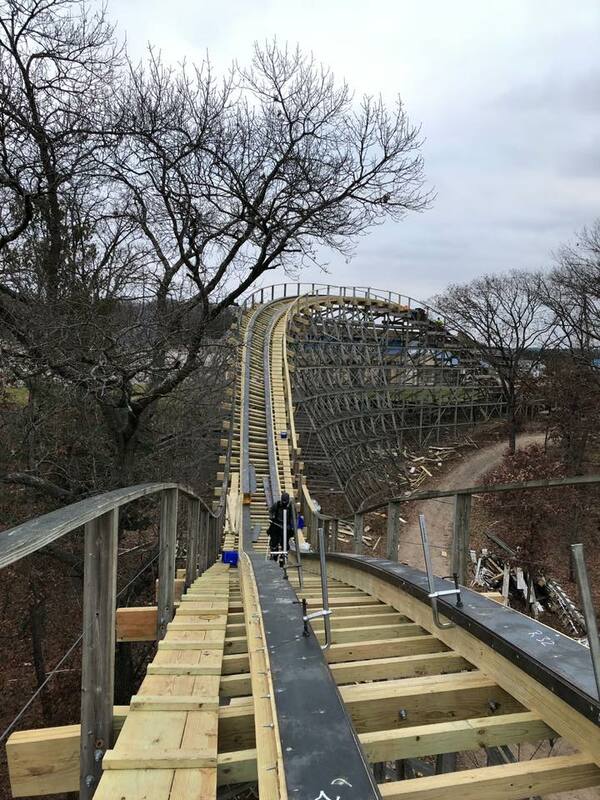 The difference in width of the steel is seen. 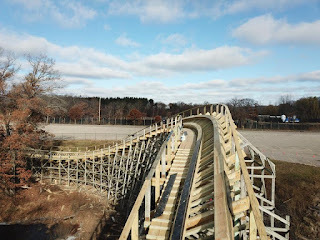 Amuse was recently involved in the construction of the popular "Railblazer" coaster at California's Great America, and has previously re-tracked sections of other wooden coasters, including Comet at The Great Escape and Pheonix at Knoebels. 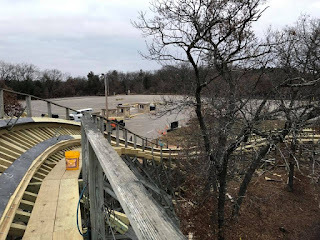 An overview of the turnaround. 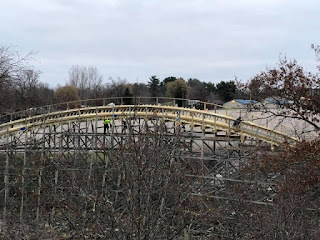 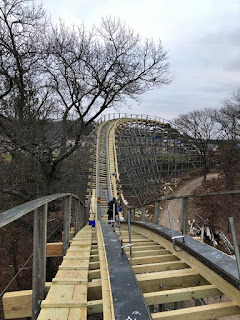 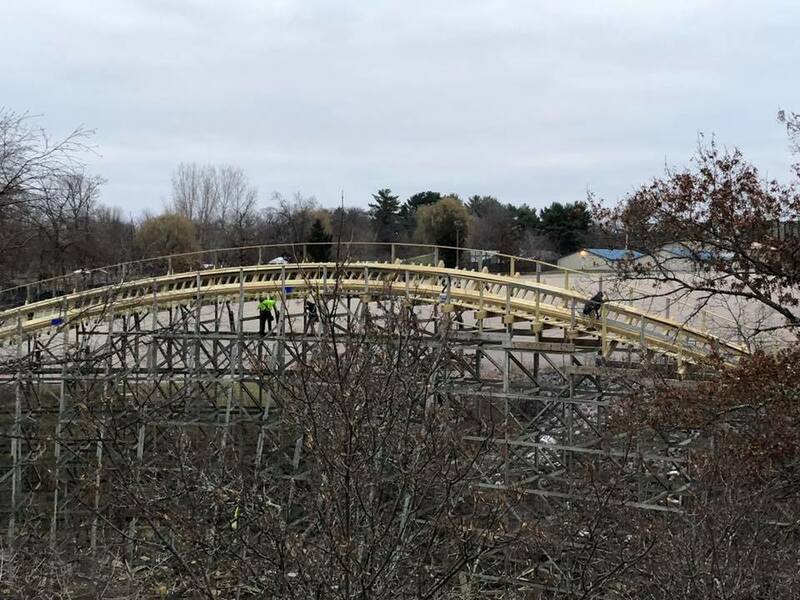 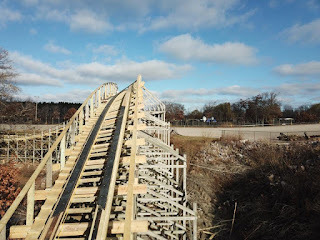 Photos taken by Amuse Rides during the construction work.